Sixteen diamond jubilarians gathered at the mass. 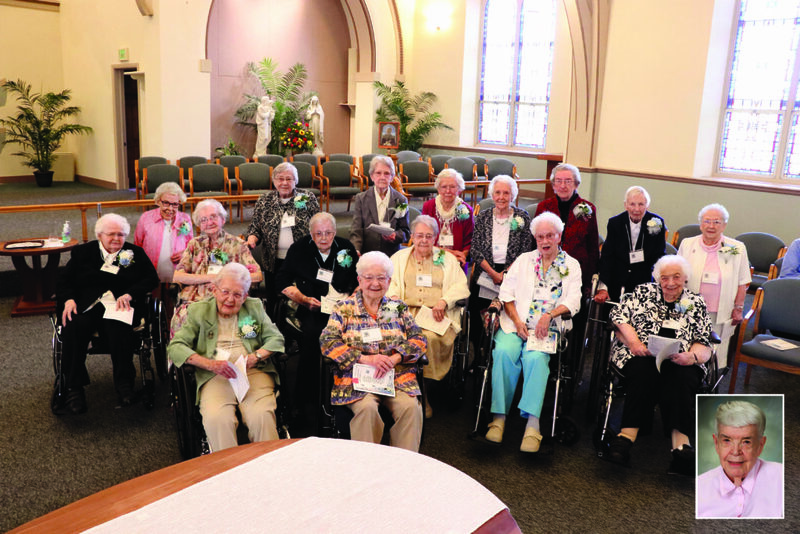 Pictured are first row, (l. to r.): BVMs Vivian C. (Lauren) Wilson and Ernestina Molinari; second row, (l. to r.): BVMs Norma (Adelaide) Evans, Catherine (Michael Ann) Dominick, Gertrude Ann Sullivan, Jeanne F. (Chabanel) Fielding, Eileen (Rose Francis) Anglim, and Dolores M. (Jeanne Michele) Kramer; third row, (l. to r.): BVMs Josephine M. (Thomas Kathryn) Roche, Susan (Michaela) Rink, Margaret M. (Martha Ann) Kasper, Lillian (Joan Loretta) Lila, Ann Kathleen McDonnell, Kathryn (John Laurian) Lawlor, Martha (Briant) Ryder, and Bernadette Marie (David Ann) Schvach. Not present was (lower r.) Patricia Ann (Wilbur) Taylor, BVM. 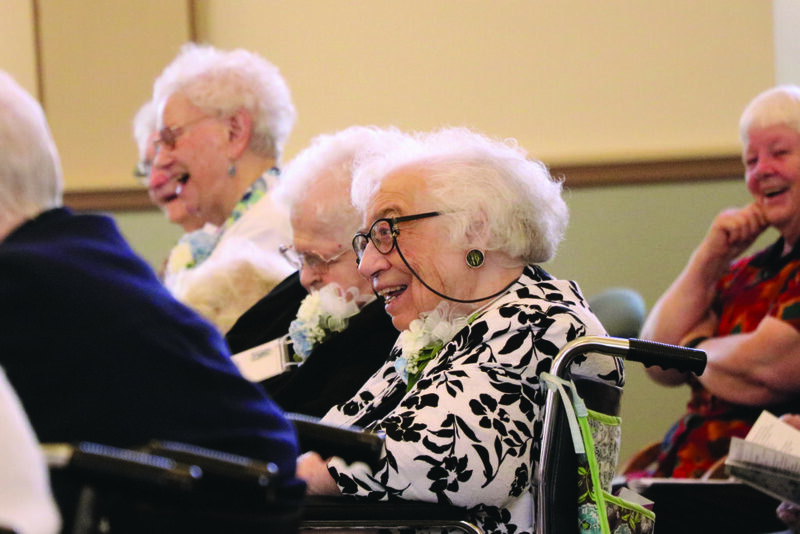 Seventeen Sisters of Charity of the Blessed Virgin Mary Celebrated 70 years in religious life on September 9, 2018, during a Mass at Mount Carmel, in Dubuque, Iowa. “Oh, we are carefree little birds. Just listen to us sing. Our hands are always in the clouds. Our hearts are in the wings. You too can be trouble-free and throw away your grief. If you just join the other birds, forgetting you’re the chief . . .”The group sings these words proudly. It’s a part of a song they sang in their early days. Dolores M. (Jeanne Michele) Kramer, BVM, celebrates her Diamond Jubilee during a Mass at Mount Carmel. 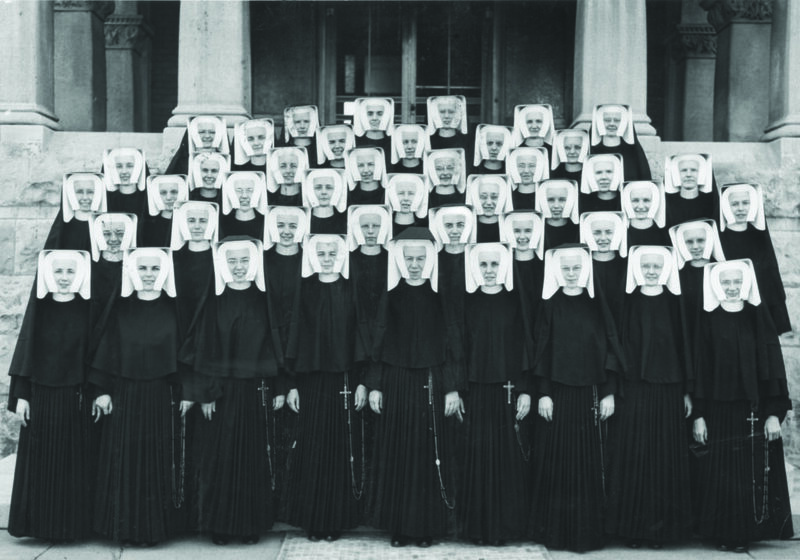 Seventy years ago, in 1948, this group, or set of women, entered through the doors of the Motherhouse for the first and—as the resident historian Kathryn (John Laurian) Lawlor, BVM would tell you—“only time.” Many left behind relationships that could have been, families, friends, pets, and childhood homes to answer the call to serve. Many of the jubilarians took their final vows in 1956. Others like Ernestina Molinari, BVM in the third grade shared with her bewildered mother she was going to be a BVM. Ernestina later went on to work as a nurse aid, but when the head nurse tried to teach her how to administer shots, “that cured me of that.” She was reminded of the BVMs, quit nursing, and started her journey into the sisterhood. Every one of them came from different places and backgrounds but ask any if they ever doubted their role as a BVM and they will proudly tell you, “Never once.” It’s something they’re proud of. As a set, they admit they never formed a close bond. In those early days of the congregation, silence was often required so the group cherished the songs and skits they performed during their time as postulants and novices. Many spoke of ties to Mount Carmel: the place where their journey began; the place where they were all sent out to serve as teachers and to plant seeds of hope, inspiring the young minds of tomorrow. 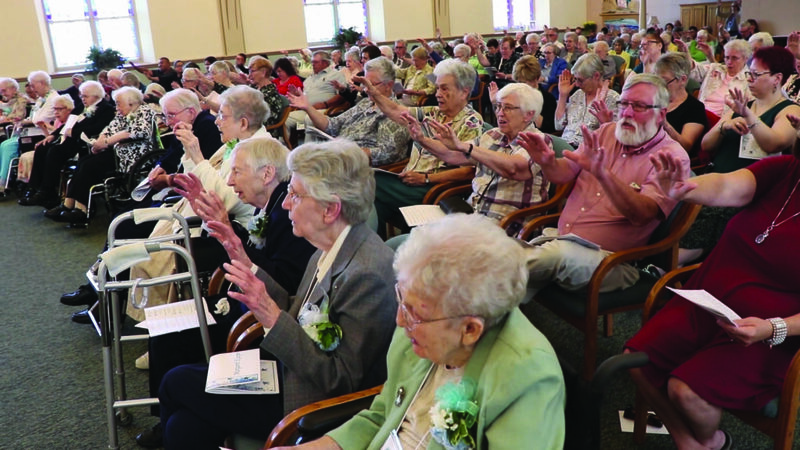 Friends and family raise their arms to bless the jubilarians who entered 70 years ago. They each continue to share stories about their experiences and share advice for the next generation. Want more from the set of 1948? 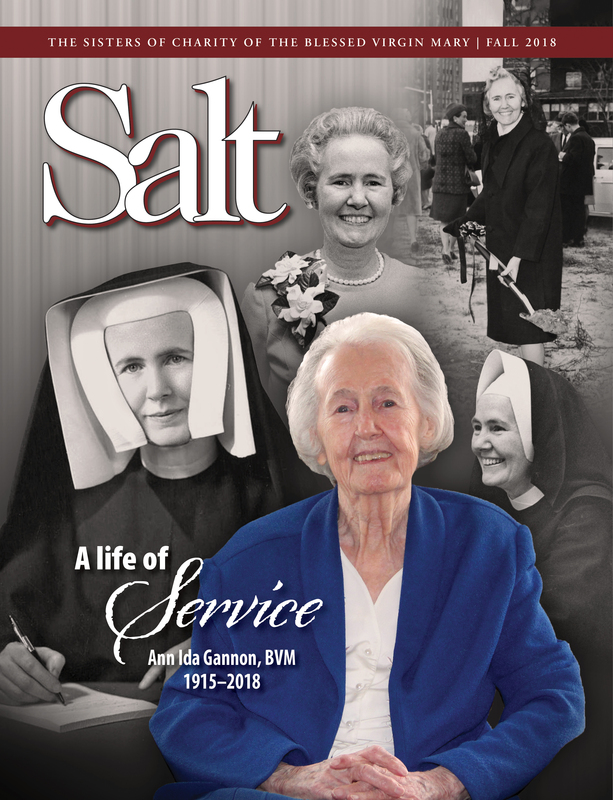 Read their bios, listen to their stories, or send them a congratulatory message at bvmsisters.org/2018jubilarians. About the author: Jon Aguilar is communications specialist for the Sisters of Charity, BVM in Dubuque, Iowa.